Following an article posted on Fox Business, CFO Consulting Services, a leading CFO services provider, reveals some of the most detrimental tax mistakes small business make. CFO Consulting Services details some of the biggest mistakes small businesses make when it comes to taxes. According to a March 18th article posted on Fox Business titled “Biggest Small Business Tax Mistakes,” a new survey conducted by Xero found that the most common complaint from accountants is a lack of communication with small business clients. In fact, the article says 32 percent of accountants admit the most frequent mistake small business owners make is only calling their CPA when it’s tax season. While the lack of communication is the most common issue, the article says it is not the biggest. The survey found that approximately 40 percent of accountants say the most detrimental mistake small business owners make is not updating financial records and keeping books organized. By providing part-time CFO services on an as-needed basis, CFO Consulting Services is revolutionizing the delivery of financial services. Now small and mid-sized businesses have access to the financial expertise once available to only large businesses. 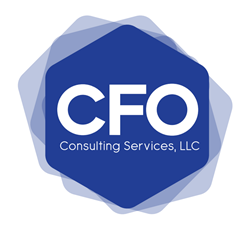 Founded by CPA and financial expert Lawrence Teicher, CFO Consulting Services follows four main principles: independence, objectivity, competence and confidentiality. These core values have led its clients to achieve lasting success in their business.